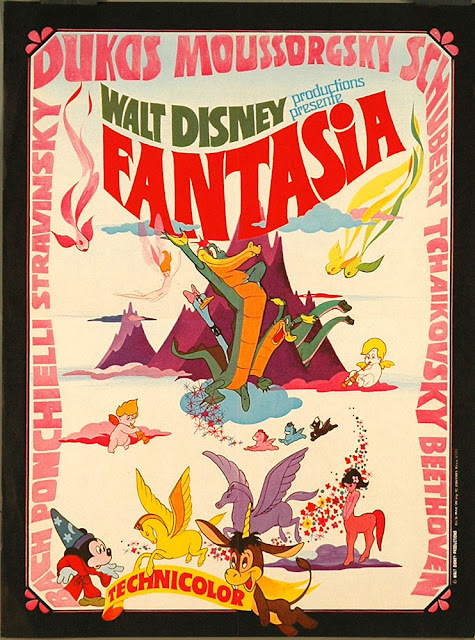 I love a lot of the artwork produced to promote Fantasia. 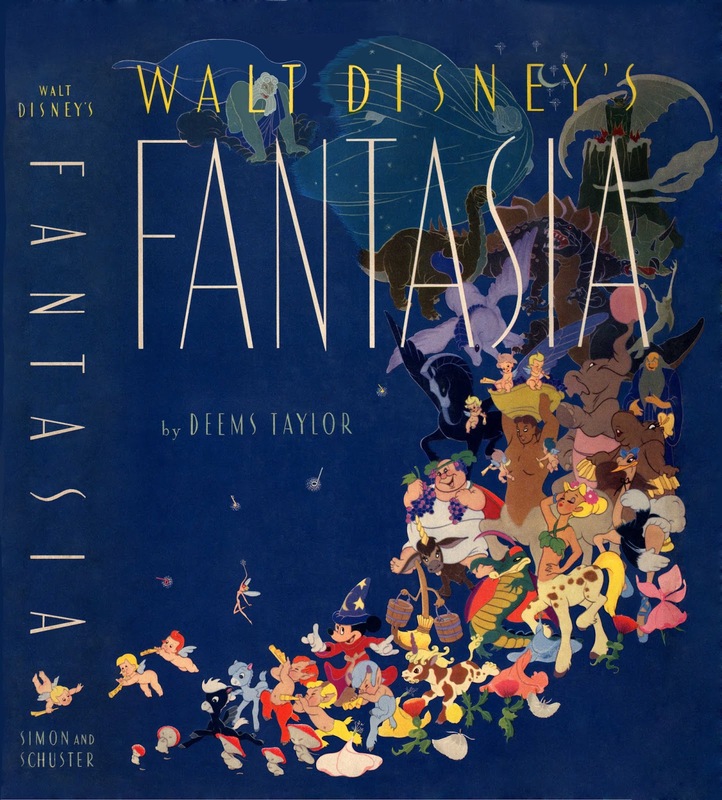 Look at the cover illustration of this book, published around the release date of the film in 1940. 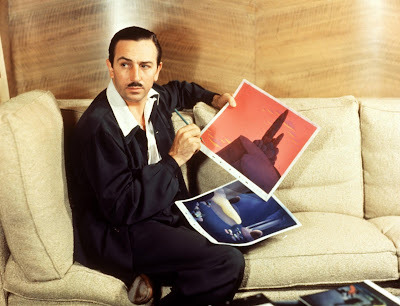 Classy and elegant, capturing the essence if the film. The poster below is from Denmark. Probably for a later release. 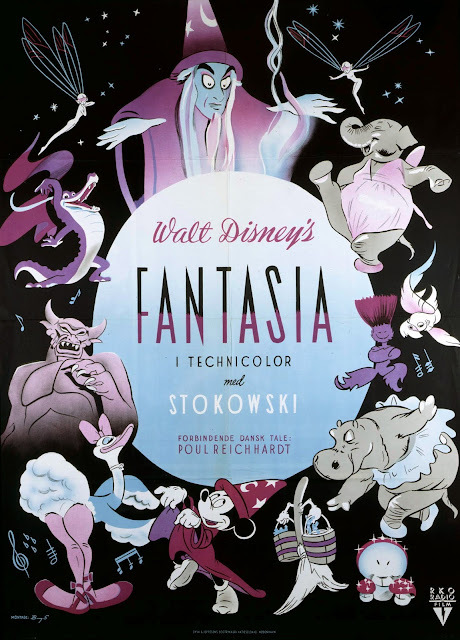 This one definitely has the color vibe from a re-release, perhaps during the 1950s or 1960s. 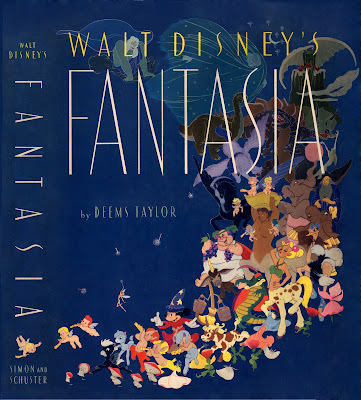 Fantasia had plenty of product tie ins. 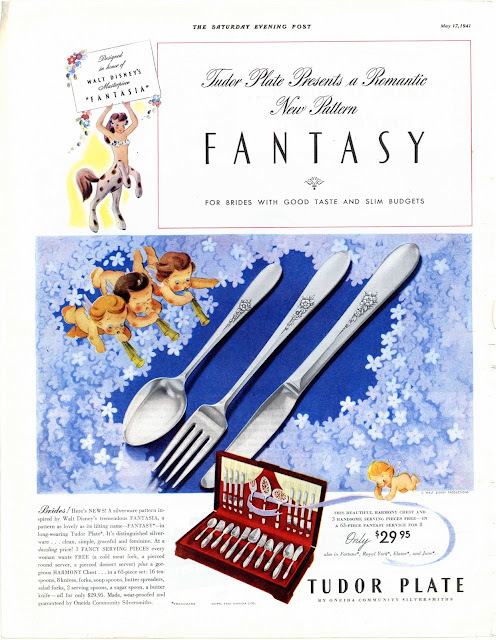 This ad aiming toward brides with good taste and slim budget is from 1941. 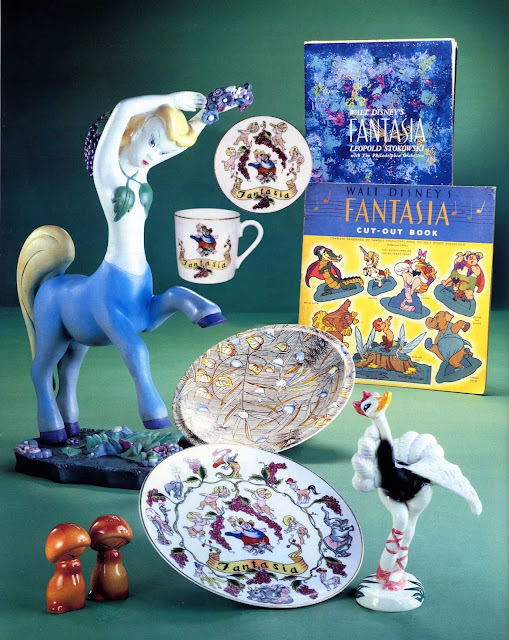 More products created for several re-releases of the film. The man who got movie going audiences interested in classical music. 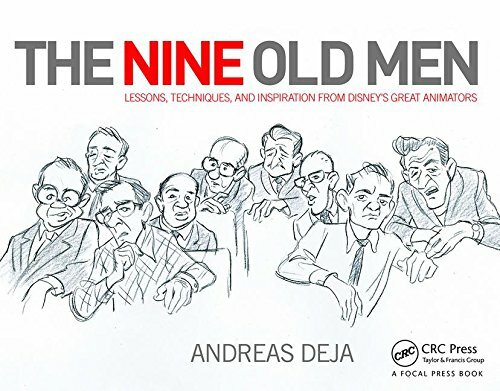 Myself included!